During a reorganization process, most organizations are able to reach the execution stage with a thorough transition plan. This stage is the most crucial in the reorganization process, as it requires buy in by stakeholders across all business units. If this is the most important step in the process, why do organizations tend to reduce focus and trust employees will navigate the new organization with minimal guidance? Bâton Global has extensive experience in guiding clients through objectives that create change for stakeholders. What are specific challenges in executing reorganization plans that tend to derail set goals and initiatives? During plan development, organizations tend to forget that employees are used to existing processes and organization structures. Most employees feel comfortable in their current role and don’t agree with decisions that will impact their day-to-day work. When word of reorganization hits employees, fear and anxiety tend to overcome most employees, as their future is typically undetermined. Communication during the strategic planning process is typically one-side, and employees don’t have an opportunity to voice their opinion. Organizations should provide a forum for employees to properly voice comments or concerns that they have about the reorg. Two-sided communication allows employees to feel a part of plan development and also provides leadership with an understanding of where further communication and articulation will be needed. Bâton Global has extensive experience in providing guidance in communicating objectives to stakeholders that create change. Organizations typically spend a great deal of time during the planning stages of the reorganization, but tend to fail to properly communicate the plan across all business units. Certain business units require a greater level of involvement from management to really understand the reasons and benefits of the initiative. Bâton Global has found that leadership teams must keep each business unit and location in mind while rolling out the reorg plan, ensuring the plan is properly articulated across the organization. Assigning leaders to specific business units ensures proper articulation of the reorg plan. Leaders who work closely with heads of business units confirm that each unit understands how the reorg will benefit them and that questions and concerns can be addressed. Even though the chains of command change throughout the organization, individual employees will tend to work the same way they did prior to the change. Employees fail to see the new lines of command, and will revert to old tendencies, as they became comfortable working with certain employees. Bâton Global has found that employees are more engaged in executing the reorganization when they understand how it will benefit them. Employees don’t appreciate the potential return on investment; they have greater appreciation and acceptance if it aligns with their values and personal goals. Employees tend to focus more on the reorganization than actual day-to-day duties that are required for the organization to be successful. With any objectives that create change, disruption within business units incite fear of what lies ahead. Speculation will exist, but a failure to focus on current activities and initiatives can lead to a decline in productivity. Role assignments during reorganizations should be distributed well in advance of the execution stage. If employees understand how their current role will transition, they will provide better focus on current tasks. 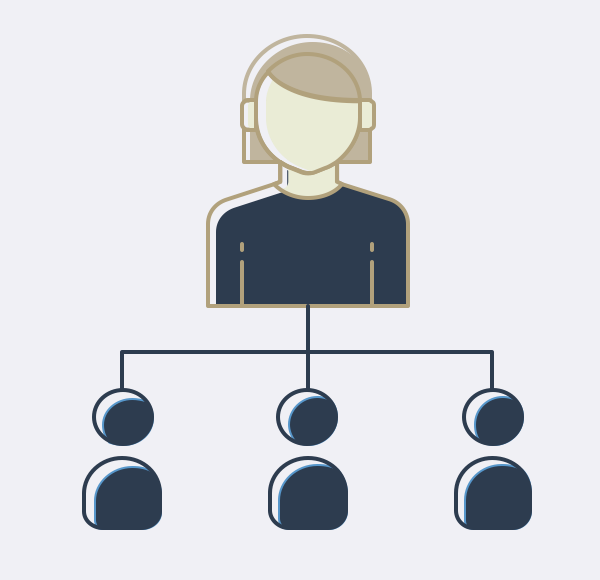 Clarifying roles is also crucial, and it requires articulation of the plan from team leaders, not just by upper level management through emails or memos. Bâton Global has proven experience in guiding organizations through strategic objectives that create organization-wide change by ensuring a high level of detail and commitment during execution. How can we help guide your organization during a time of change?